Lately I’ve been trying to keep my husband and I on a pretty strict diet. We’ve been having the Glowing Green Smoothie for breakfast, and really healthy lunches and dinners (with the exception of eating out at The Salted Pig every week!). Even though the dishes I’ve been making have been generally healthy, a certain someone has been sneaking fast food! I can’t say I blame him though. The super-duper healthy stuff can get old really quick. In order to curb those fast food cravings, I decided to let up on the cold salads during lunch. “Too much cold food is discouraging to me.” he says. I can see where he’s coming from. Enter Los Cubanos. Recently I won a panini press from Some The Wiser, so I decided there’s no time like the present, and put that puppy to use for these sandwiches! 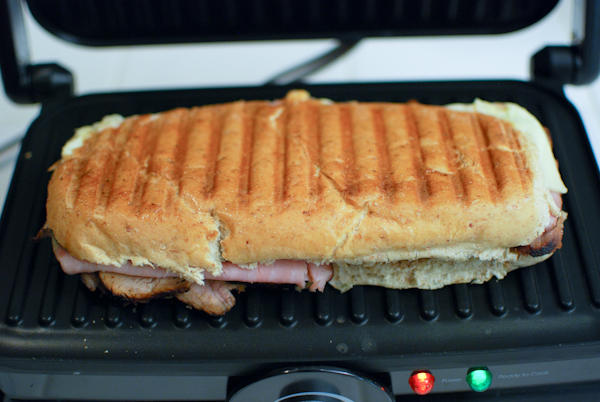 If you don’t have a panini press, you can do it like I used to do it post-press. Get a brick and cover it in aluminum foil. Get a pan and heat it to medium. Place sandwich in the pan, and press the sandwich down with your brick, and leave it there. In my honest, humble opinion, it may actually be better than a panini press. It’s heavier, and doesn’t take up much room. 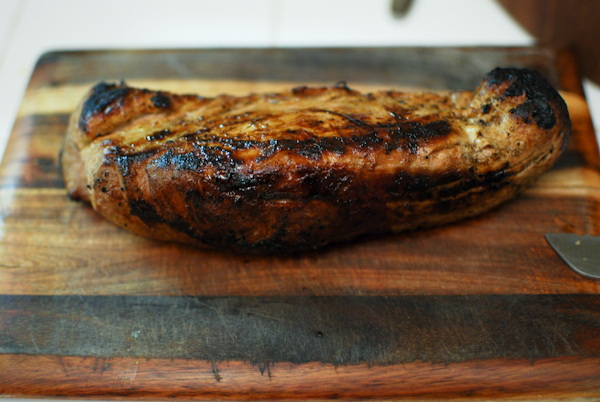 This part you can do the night before – I marinated a pounds worth of pork tenderloin in the juice of two blood oranges, two meyer lemons, and one lime, and added in about a teaspoon of garlic powder, and tablespoon of dijon mustard. Let it sit overnight, turning as often as you remember. The next day, heat an oven-safe skillet over HIGH heat, and add in about a tablespoon of olive oil. Get that puppy in the pan! 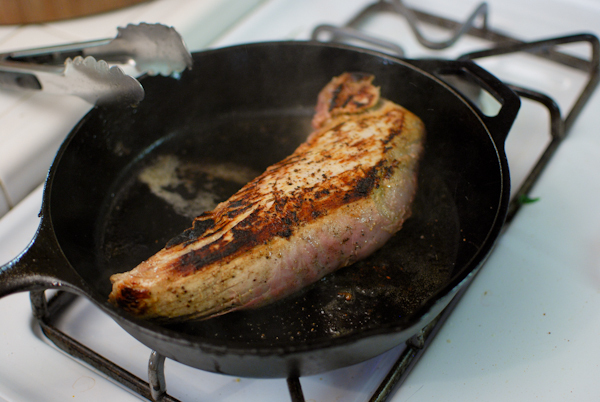 Sear for about 2-3 minutes on all sides until you have some nice caramelization going on. 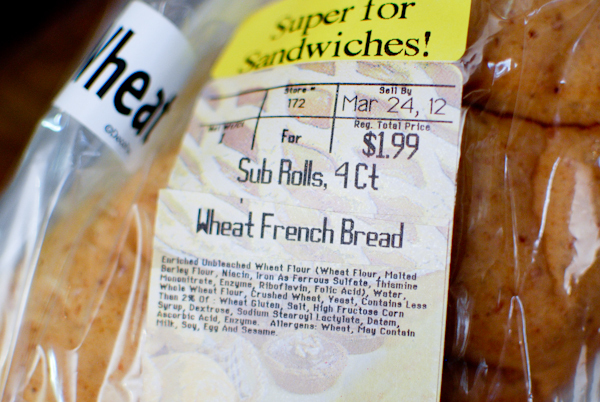 and slice the French-style rolls. Slice the pickles too… if you insist on buying the whole ones like I do. 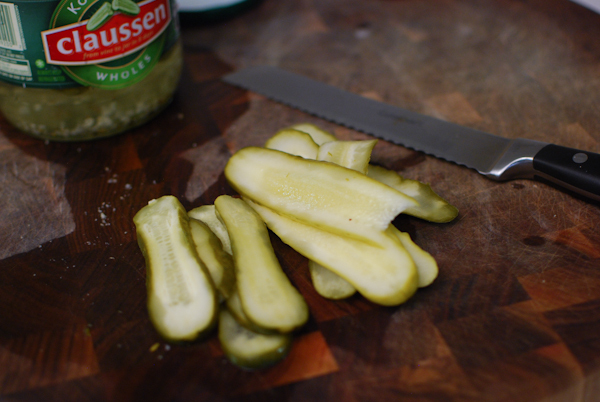 Yeah, I used a bread knife to slice the pickles…. Parsley-badger don’t give a CRAP! 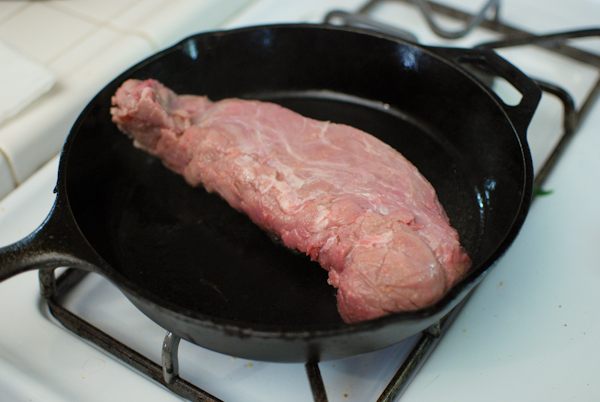 Here comes the hard part… After your tenderloin is seared, you must finish the cooking process in the oven. Twenty minutes of waiting can kill a person. It was killing me anyway. 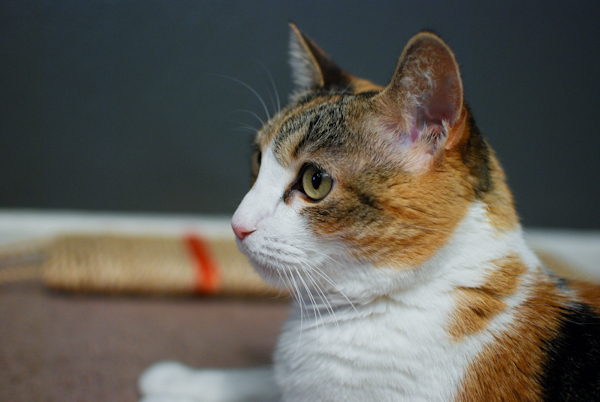 To pass the time, I took pics of two of our kids. Dracula was not interested in the photo-shoot, and Sookie was MIA. 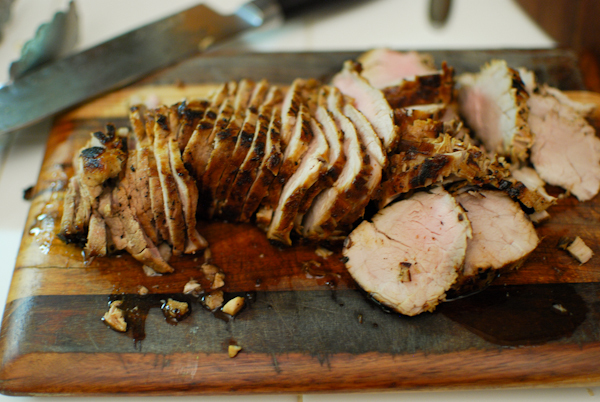 Here’s the pork tenderloin, all done! Well, not entirely done. Really, REALLY try to remember that you need to let meat rest after cooking. Patience. PATIENCE! Ok, now go ahead. Slice it up as thin as you can. … and now for the build! 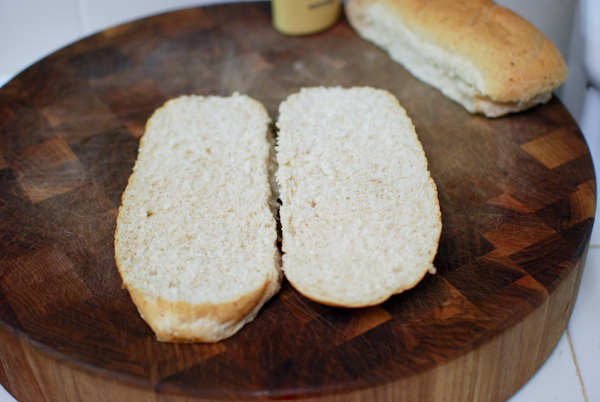 I poured a little olive oil in my hands, rubbed to coat my hands, and then rubbed it on the bread ever so lightly. It was like lotioning the bread with olive oil. 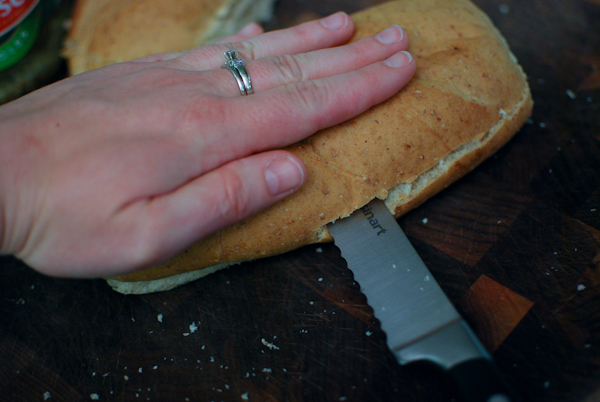 I know there’s probably a better way to get a teeny tiny bit of olive oil on the bread, but I was panicked. And hungry. Combine orange, lime, and lemon juice along with the garlic powder and Dijon mustard in a small bowl. 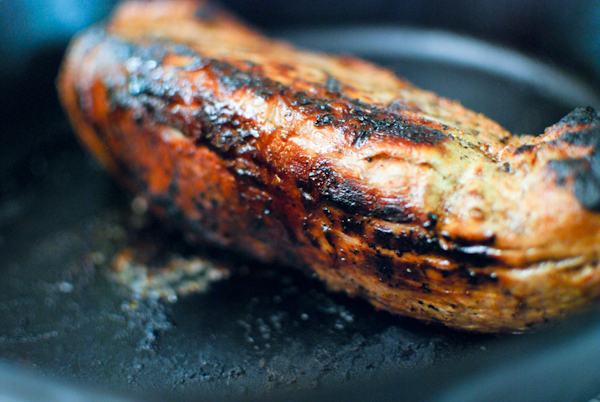 Trim the pork tenderloin of the silver skin, and place in a freezer bag along with the marinade. 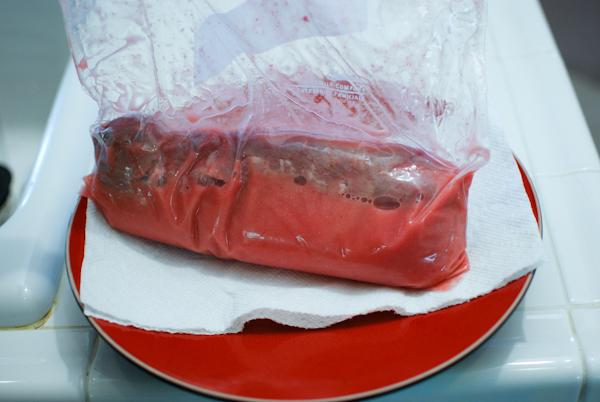 Let sit overnight (or at least 5 hours), turning as often as you remember (at least once halfway through marinating). The next day, pre-heat the oven to 375°F. Remove the tenderloin from the marinade, and season with salt and pepper. 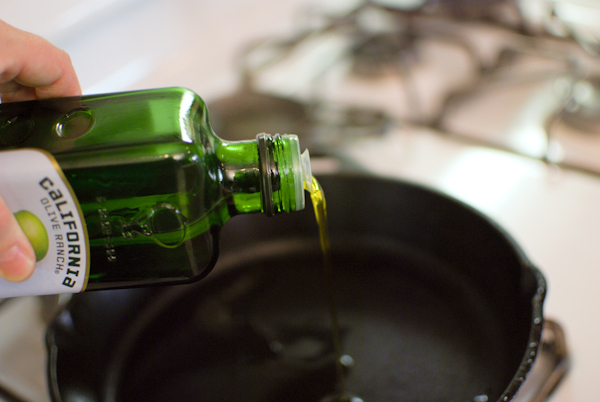 Heat an oven safe skillet over high heat, adding 1 tablespoon of the olive oil. Brown the tenderloin about 2-3 minutes on each side until you have a nice sear, and then place in the oven for 20 minutes until done (internal temperature 160ºF). Allow the meat to rest for 10 minutes, then slice thinly. 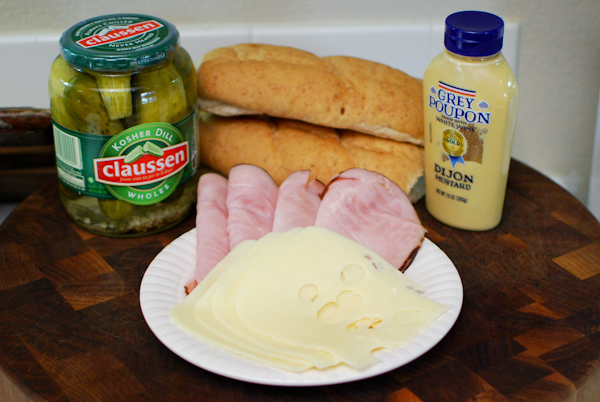 To build the sandwiches, divide the mustard on each side of the loaves, spreading evenly, and layer the pork tenderloin, ham, pickles, and cheese. 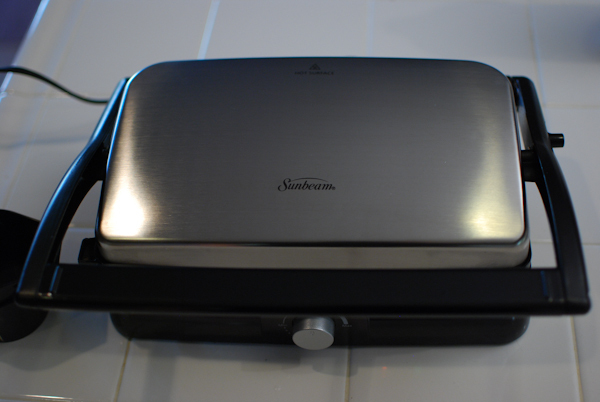 Cook the sandwiches in a panini press on medium until done, and the cheese is melted, about 10 minutes. mmmmmm…….I’m going to give this a try someday soon. Let me know how you like it, ma!! That is one nice looking sandwich! Del taco be calling my name man! 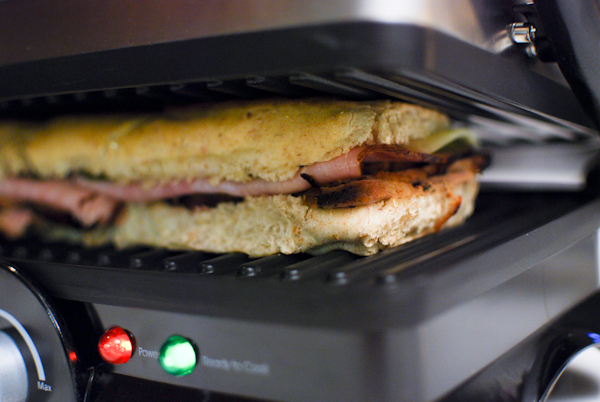 The Panini press is a definite winner. 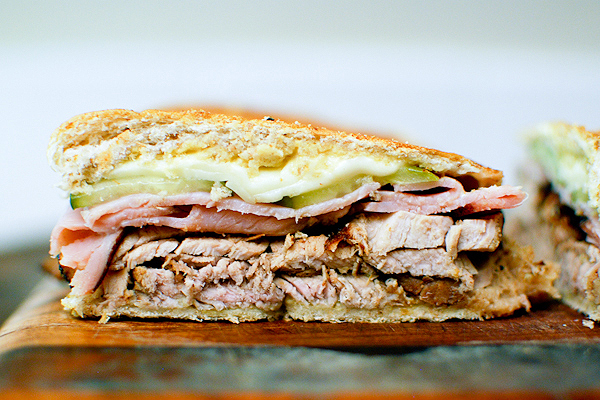 That looks like an awesome version of a cubano! 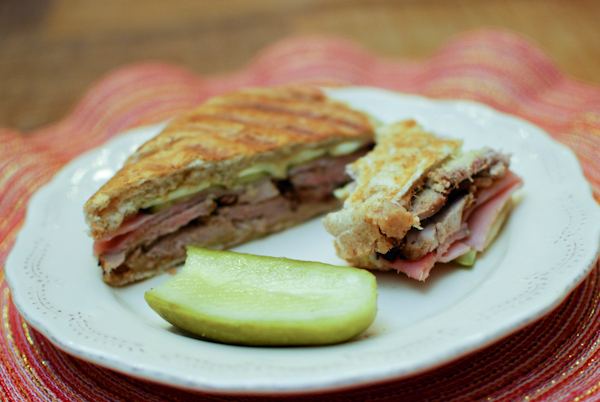 It’s one of my all-time favorite sandwiches, but I haven’t had one in a while…might have to rectify that! i followed this recipe last week. i didn’t have blood oranges so i just used regular orange juice. it was fantastic. thank you! 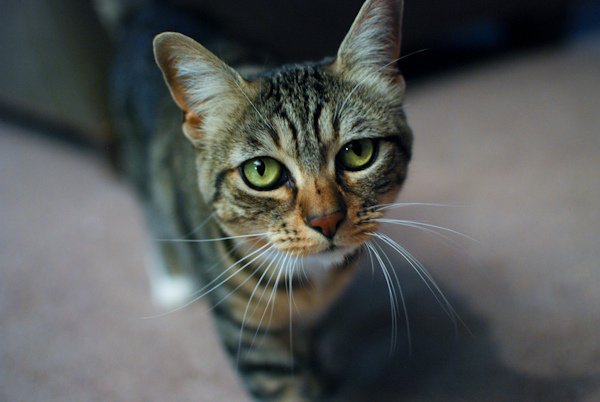 when i got to searing the pork, my cats turned into very friendly ones, all of a sudden. So great to hear, FR!! Great improvisation too – use what you’ve got! Thank you for commenting, it made my day!